Across the 13 National Parks throughout England and Wales, there are projects focusing on (and having a significant impact on) preserving the beauty, cultural heritage and biodiversity of these special areas.And it takes special people to make these projects a success, none more so than our Path Watchers! 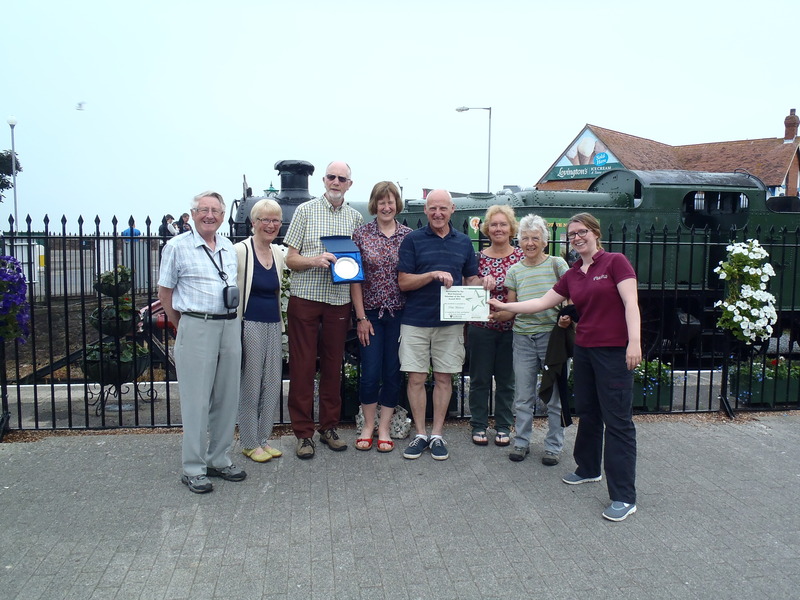 Each year they undertake to walk every right of way in their chosen parish to report any damage to paths, bridges and finger-posts – that’s over 1000 km of footpaths and bridleways in total! So as you might imagine, our Rangers cannot be everywhere, so volunteers are vital for providing live updates on issues all around Exmoor. 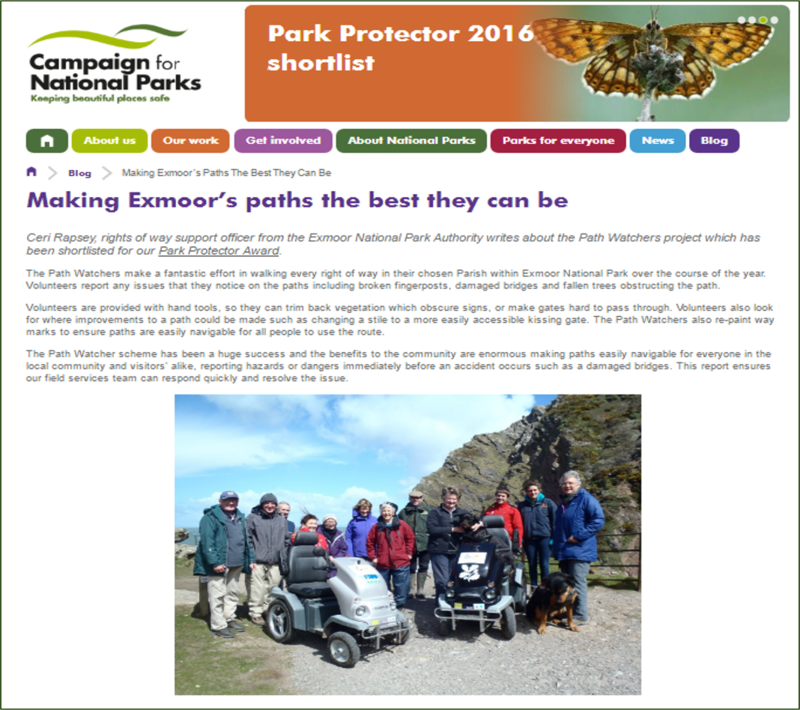 And in recognition of their hard work, our Path Watchers project is one of six to be shortlisted for the Campaign for National Parks’ (CNP) Park Protector Award. Ceri Rapsey, our Rights of Way Support Officer has written an article about the Path Watchers and their achievements on the CNP’s website – click on this link to read the full article. If you’d like to know more about volunteering on Exmoor, we have a number of roles currently available – click here to go through to our website page.